Following Fifa's investigation into Paul Pogba's £89 million world record move to Manchester United from Juventus, the English club have now been cleared of any charges or accusations regarding the deal. Fifa launched an investigation into Paul Pogba's world record move in May. The core of the investigation surrounded Pogba's agent Mino Raiola, as both clubs were thought to have paid him to facilitate the deal. Raiola earned £41.3 million from the deal as Juventus engaged him to get the best possible price for Pogba while United's payment was thought to be for assurance that the Old Trafford club will get their man. 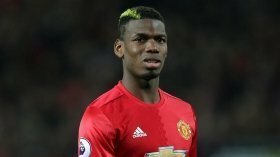 According to Football Leaks, "Raiola was paid €27m by Juventus, €19.4m by United and a further €2.6m paid by United on behalf of Pogba for negotiating his wage package." Manchester United have now been cleared of any accusations following Fifa's investigation. According to the Daily Star, a Fifa spokesperson was quoted as saying: "We can confirm that no disciplinary proceedings have been opened against Manchester United." However, Juventus have been deemed guilty of the accusations. The same spokesperson confirmed this, saying: "We can confirm that disciplinary proceedings have been opened against Juventus FC. We cannot comment further as proceedings are ongoing." Neither Manchester United, Juventus, nor Mino Raiola have spoken about the investigation and it awaits to be seen what the Italian Giants are officially being accused of by Fifa.